Marie-Philip Poulin’s office is cold, damp and crowded. Often times it is maddeningly loud, with thousands meticulously observing her every move. She travels fairly often—Montreal, Boston, Vancouver and Sochi to name a few spots—but has a rare gift to find that perfect workspace, whichever time zone she happens to be in. It’s where she thrives—low slot, a couple strides from an offensive zone faceoff circle. It’s where the Olympian scored her first gold medal-winning goal versus the United States in 2010 in Vancouver, scoring off a pass from Jennifer Botterill from the left side of her opponent’s faceoff circle. Poulin would add another goal to that, but the game’s opening goal proved to be the difference, with Canada winning 2-0. Four years later, in 2014, she repeated the Olympic feat in Russia in overtime, once again versus the U.S. She scored from the left side, staring at a half-empty net, earning her team—and country—another gold medal. On Jan. 31 in Montreal, some 312 km from her hometown of Beauceville and with her parents in the stands, she again delivered from her office. 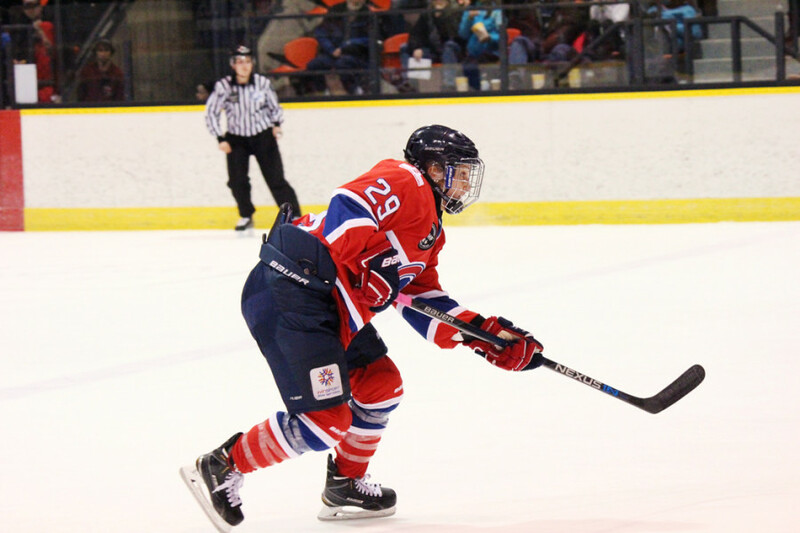 Playing for Les Canadiennes de Montreal of the Canadian Women’s Hockey League, she was on the receiving end of Kim Deschenes’s defensive zone transition—and she scored. Poulin snuck in off the half-wall towards the faceoff dot, received the pass and fired a shot off the left post on Calgary Inferno goalie Delayne Brian. As talented as she is humble, she deferred to her teammates. 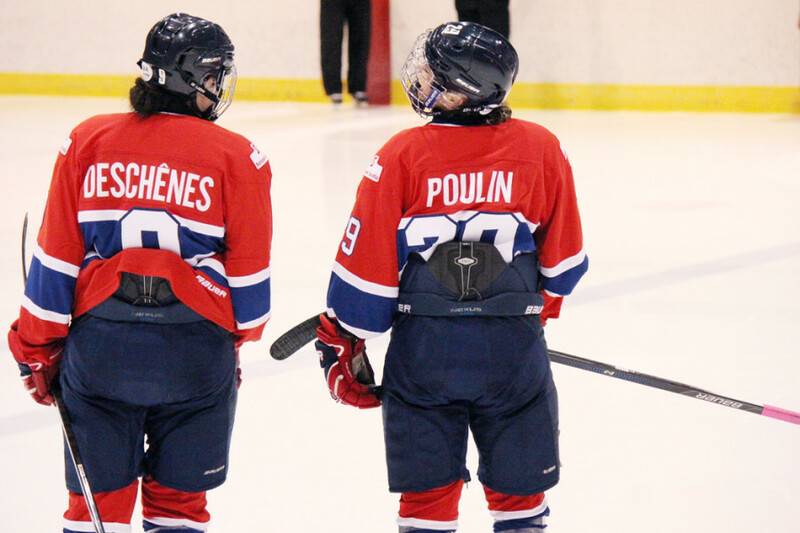 Poulin’s start in ice hockey was born out of cheering on her older brother, Pier-Alexandre, who played minor hockey. She initially laced up figure skates before changing blades. Poulin would become a sensation, earning national attention and a spot on Canada’s national women’s team in 2007. The following year with Dawson College in Montreal, she was named MVP and rookie of the year of the Hockey collégial feminin RSEQ. After her time at Dawson, Poulin took the year off in preparation for the 2010 Olympics. “My family came in the third game. It was just unbelievable, being there in Vancouver. The whole village was brand new,” she said. It was during those weeks in Vancouver that Poulin’s name was first mentioned in the same breath as National Hockey League superstar Sidney Crosby, a sentiment that has only gotten stronger as she continues to build her legacy. 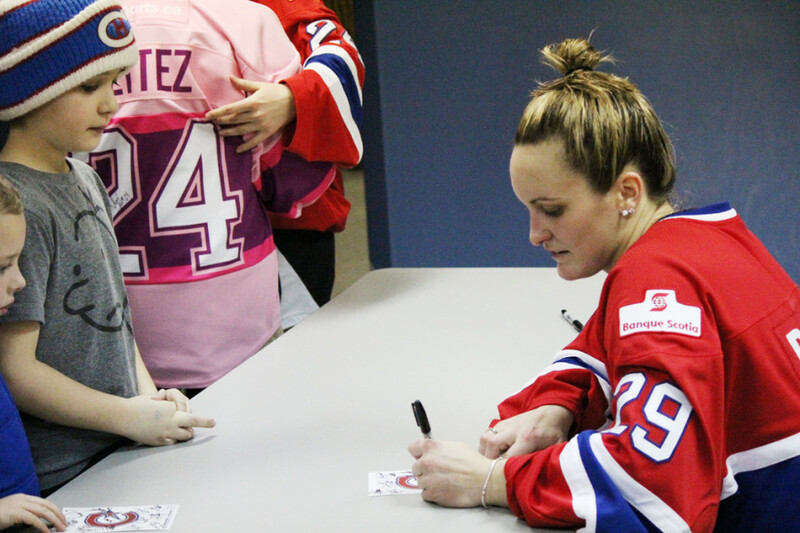 Les Canadiennes goaltender and three-time Olympic gold medallist Charline Labonté, who has known Poulin for 10 years, wasn’t surprised by the comparison. Dany Brunet, head coach of Les Canadiennes, had a different take. Following her time at Dawson College, she enrolled at Boston University, where she still holds the record for most goals scored, assists and points. She even served as team captain in her senior season. Even with everything going on, Poulin found her experience away from the rink just as valuable. 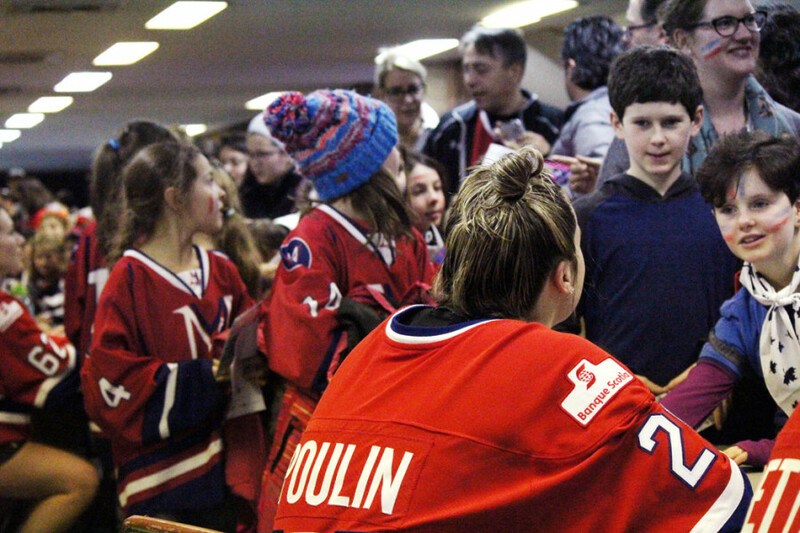 Now, with the community-oriented Canadiennes team, Poulin interacts with fans after every game, posing for selfies and signing game programs. The vibe is one of family, with her parents often making the three-hour drive to see her play. Unlike Crosby—whose pregame rituals vary from skating to centre, retying his laces and not seeing members of his family on game days—Poulin doesn’t have an arsenal of superstitions to match her scoring prowess. “I like to have my coffee before a game for sure, but the only thing I do is I put my shin pads last,” Poulin said. En route to Poulin’s place.